When it comes to the world of girls and clothing, parents of tweens need plenty of patience. Tweens know what they want to wear, and when tween girls hit a certain age, they become very discriminating about clothes. Navigating the world of girls and clothing is possible, it just requires setting a few limits, and compromising when necessary. Has your tween surprised you by announcing she hates everything in her closet? Or, has she made it clear that you are not to purchase any clothes for her without her approval? Tweens can be choosy when it comes to fashion and the clothes they wear, and the change can happen overnight. One day they could care less about what they wear, the next they're scrutinizing everything down to their socks, and insisting that they absolutely have to have a certain pair of jeans. Tweens face remarkable pressure from their peers to fit in and to wear certain styles of clothing. Here's how to teach your tween to make good choices (within your limits and budget), and help her maintain a sense of individuality. It can be hard for a tween to understand that $75 is just too much to pay for a pair of jeans. And tweens trying to fit in don't want to hear that they can't have a certain jacket because it doesn't fit within the family budget. As hard as it may be for both of you, it's important that you stand your ground to help your child understand that budgets have to be followed and that it's everyone's responsibility to work within the established family limits. 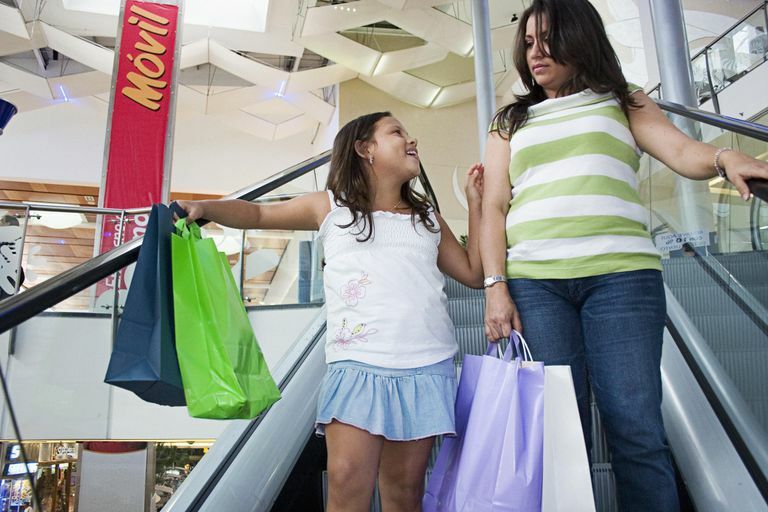 Before you set out on a shopping trip, sit down with your daughter and clearly explain how much money you have to spend. In addition, make a list of items your tween needs, and an approximate budget for each item. This will provide your child with the information she needs as she makes her clothing purchases. If your child is desperate for a certain pair of shoes, or another item of clothing that doesn't fit within the family budget, give her the option of buying the item with her own money. She can save her allowance, or earn money helping out around the house or by tackling small jobs for neighbors. This practice allows your child to learn responsibility, and to work towards a goal. It's also a great way for your child to learn to postpone gratification. Tweens are so busy wanting to fit in, that they don't always realize that the clothes they wear, or the way they wear them, could give others the wrong impression. Explain why certain styles should be avoided (because they're sexually revealing, or are associated with gangs, etc.). Explaining your reasoning to your child helps her understand that you're not arbitrarily deciding that she can't have something she wants. Tweens are old enough to learn how to begin caring for their clothes and making them last. Your child can begin by learning how to sort dirty laundry by color and fabric, and also how to use the washer and dryer. Take the time to explain why certain fabrics require more care (such as silk or wool) and that she should consider that when making purchases. Tweens are famous for throwing clean clothes into the laundry, simply because they don't want to fold them and put them away. Be sure you explain to your child that washing clothes more than they need can fade colors, and age the item prematurely. Take the time to show your child how to fold clothes to prevent wrinkles, and put them away to be worn again. It's important that your child have some say in the clothes she wears, and tweens know what's fashionable and what isn't. It's also important that you give your child the opportunity to establish her own sense of style, and that may mean wearing clothes that are very different from the clothes you would choose for her. As long as these clothes aren't objectionable, give her the space to make her own decisions. However, be firm when it comes to clothes that are too mature or revealing, as well as clothes that may display vulgar words or images, or conflict with your family's values. Your child is trying to establish a sense of self, but you're still the parent and have the right to set limits. If your tween daughter wants to wear clothing that you think is inappropriate or too revealing, explain why it's important for her to dress her age, and show her where you want her neckline to be, and where her skirt should fall. If she really wants a shirt that you think is low-cut, try to compromise by finding a camisole or a t-shirt to wear underneath. You may know that your tween daughter looks much better in certain styles and colors than the ones she wants to wear, but it's alright to allow her to make a few fashion mistakes and to learn from them. It's also important that you pick your battles in order to save your energy for the really important issues. Finally, be sure your child understands that she needs to consider what's appropriate dress for occasions such as weddings, funerals, banquets, church, or other special events. Your child may fuss at the thought of wearing a skirt in public, but it's up to you to make sure that she understands the importance of dressing for the occasion. And that it's disrespectful not to. What Bad Habits Should You Tell Your Tweens to Stop Doing?